This Sunday is Mother’s Day, and we all know how I love to entertain (and I love food). So, what better way to celebrate all the special moms that are in my life than by hosting a fabulous brunch. 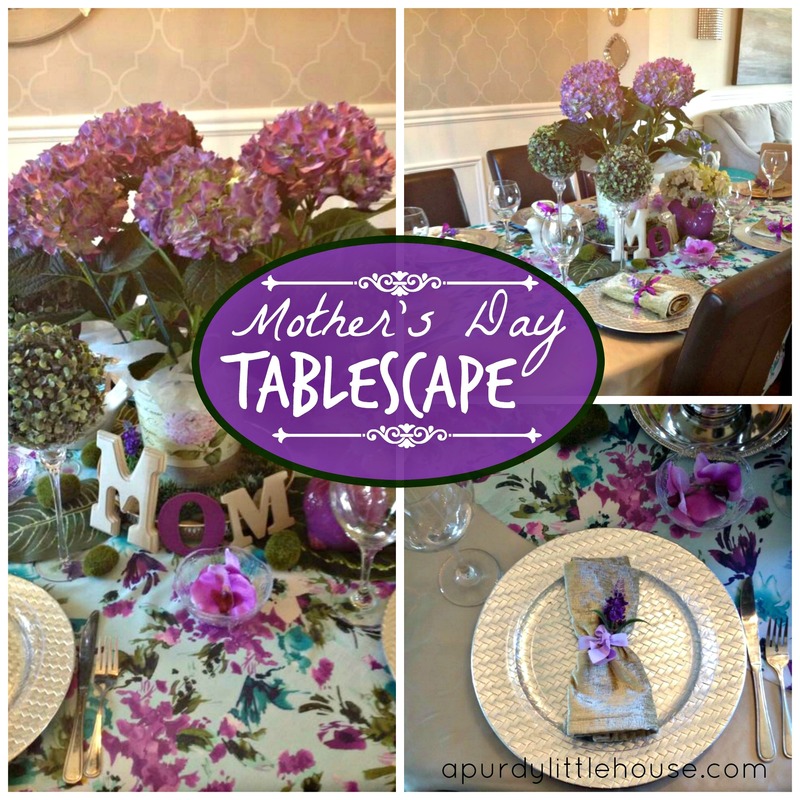 Here is a table I put together for Mother’s Day using turquoise, purple, and taupe. 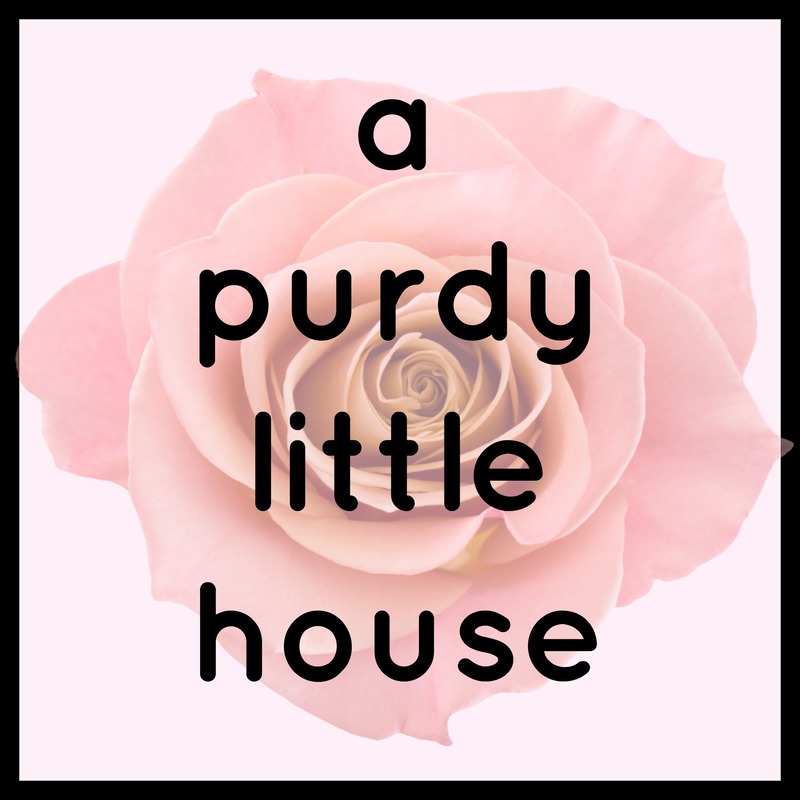 The jumping off point for the colour scheme was the pretty floral fabric. I found this semi sheer fabric for $4.00 a meter, so I snapped it up, and it set the tone for the whole table. I spray painted some ceramic birds and a squirrel from the dollar store to match the tones in the floral fabric. I also added in some faux boxwood balls to play off the dark green tones in the fabric. The centrepiece is my favourite part of the table. I found a pretty purple hydrangea plant in a gorgeous taupe coloured pot that not only acted as a centrepiece, but was also my Mother’s Day gift to my mom 🙂 It’s the gift that keeps on giving, since she planted it in her garden, and can enjoy a hydrangea bloom every year. I also added some silver elements to the table to make things shine. 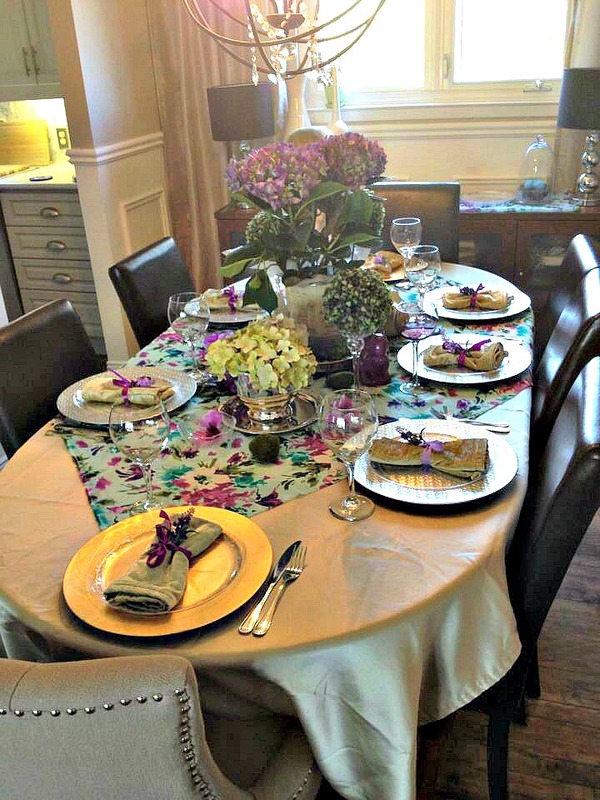 I used my soft green chenille napkins and used a pretty purple bow with a purple flower in place of napkin ring holders. This is so pretty! I love the color scheme. I especially love those silver chargers. Great post! So pretty! I love the color scheme! My favorite is the purple hydrangea. What a great idea to give it as a gift, something to last for years rather than a bouquet that you’re lucky to get 2 weeks out of! Happy Mother’s Day! Very pretty tablescape. 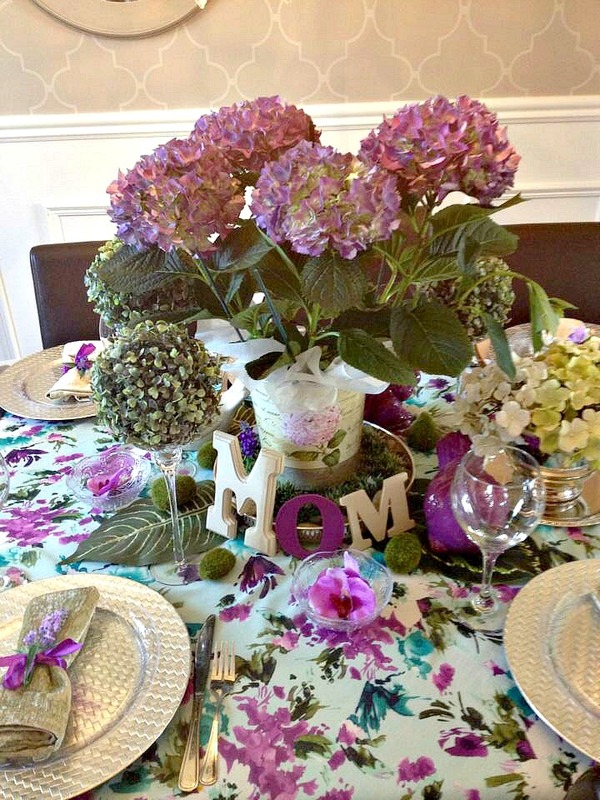 I love how you use pieces of the flowers from your Mother’s past Mother’s Day gift as the centerpiece. Everything looks beautiful. Very pretty table! I am really loving the colors you chose and those hydrangeas are just perfect.